If you want to build an online community or social network, you are going to need to make sure you can look after your community members. A great Community Manager is essential and for them to do their job effectively and efficiently, they need the right tools. They need a community support service. What is a community support service? Also known as Help Desk service, a community support service is any system that lets your community members ask for help and support, and for the help and support to be effectively managed by your community support team. At a simple level, a support service could be a Community Manager’s email address or a basic contact form. However, most online communities find that basic systems like this quickly become insufficient. While it may be easy to manage the occasional request for help, as support requests increase, keeping track of and ensuring each support request results in a satisfactory resolution becomes a logistical challenge. Bottom line; your community support team needs a system that tracks communications and seeks efficiencies in the time spent responding and supporting community members. Community members need a resolution to their issues in a timely manner and when support isn’t immediately available, they need to know their problem is being looked into. Reduce time spent providing support. Learn about your member’s needs. Transparency. A community support service ensures that all communications with community members can be seen and shared by your whole team. Happy members. Ultimately, a community support service will reduce the time it takes to resolve individual member requests. What’s more, members can stay better informed about how their support request is being dealt with. Key tools of a community support service. Knowledgebase/FAQs – These should be your first line of support. FAQs, compiled into an easily searchable knowledge base can significantly reduce the amount of time your support team spend resolving basic issues. Ticketing system – This is likely to be the primary way community members will reach out to your support team. Good ticketing systems allow you to create forms based on the type of support your member needs. This ensures you capture the data you need, based on the issue your members are having. Ticketing systems send out automated responses to your members ensuring they are kept in the loop. Tickets can be tracked, searched, and shared between support staff and more. Ultimately, tickets are the foundation of excellent support. Chat client – If you have the resources, offering community members the ability to chat with a member of your support team in real time can be invaluable. Good chat clients offer canned responses, queuing systems and countdown feedback. Community support forum – If your community is made up of a subset of avid enthusiasts or knowledge, engaged members, then a community forum can be an incredible way to provide support with the minimum of internal overheads. Community support forums aren’t for everyone but in the right setting, they can grow into a phenomenal database of support. Note, your support team should check in and offer help and support in the forum when necessary. 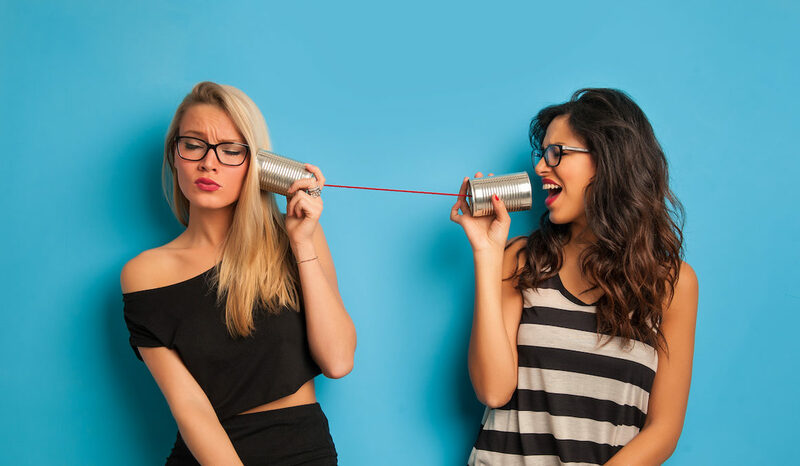 Canned responses – Linked to your ticketing and chat clients, once programmed in, canned responses allow your support team to provide detailed responses to frequently asked questions with the click of a mouse. Automated responses – Feedback is everything. Automated responses ensure your members know they are being listened to, even when your support team aren’t available. Most, if not all modern support solutions allow you to customise automated responses to fit the tone and style of your community. Routing – A background process that ensures a member’s support query (ticket or chat) reaches the right person/department. SLAs – Service level agreements are a great way to keep your support team focused. They also let customers know how quickly you will respond to requests. The trick with building up a community support service is to do it over time. There’s little point spending hours composing canned responses until you know what canned responses are required. The best approach is to put the tools in place first. Spend time making sure the signposting to your support tools is clearly integrated into your community. Work on the design of the knowledge base so it looks like a fully integrated part of your community. As time goes on, build up canned responses, add to your knowledge base and work on your automated responses. You’ll soon have a system in place that saves time for your support team and provides a great service to your members. It’s also worth pointing out that your community support service should be treated as a tool to grow and refine your community. If your support team find they are having to solve the same problem time and again, then it’s worth investigating how you can adapt your community to their needs. Service-Basedd: These services are hosted in the ‘cloud’ by the service provider. You will pay a monthly fee, typically based on the number of agents you have and/or the sophistication of the service used. Key players include Zendesk, Zoho and SalesForce. Plug and play – minimal installation overheads. No need to run updates; new services and features will become instantly available to you. Access to support from the service provider. Can be easy to get locked into a service and hard to move away. Custom support can be expensive. Limited ability to ‘lift the hood’ and make adjustments. Self hosted: These solutions require installation and setup of software on your own server infrastructure. We have had great success with OSTicket. You have full control and ownership other everything. The data, the software, the lot. If you have in-house development skills of a great development partner (like us!) you’ll be able to achieve a lot more for a lot less than a service based solution. No ongoing costs (aside from server space). Paid for solutions will require you to purchase upgrades. Significant upgrades can result in broken infrastructure. Start simple – put the basic infrastructure you need in place. You will learn pretty quickly from the support requests you get from your community members what you need to add. Set targets – monitor how much time your support team are spending helping community members. Dig into the data. If you’re spending too much time dealing with menial issues, look at ways to mitigate those problems in other ways. For example by refining the community itself. Give your support team authority – great community support requires a human touch. Give each member of your support team the scope to manage and deal with support problems in their own way. Get help – even putting the basics in place can be daunting if you are setting up a community support service for the first time. If in doubt, seek professional help. You can contact your service provider, or work with an agency like us to help you. Ultimately, regardless of the service you choose, the real work is down to you setting up, configuring the tools you use and populating with FAQs, canned responses, etc. The process can be daunting at the start. But once you take the leap, you’ll soon find you have an invaluable addition to your community.